The Copenhagen Bridge Invitational would like to thank all our sponsors for their support. Below a presentation of the sponsors and their reasons for supporting an event such as the Copenhagen Bridge Invitational. Smiledesigns is a brand new clinic that will be seriously launched in 2017, which specializes in cosmetic teeth-straightening using an aligner system called Invisalign, where our focus is to provide our customers with the opportunity, and wish, to smile even more. Invisalign is the world’s most advanced teeth-straightening system, and by using Invisalign, Smiledesigns can give many people a new and improved smile without any worries throughout your treatment, as the aligners are almost invisible, thus enabling you to live your life just as before – but with straighter teeth day by day. Smiledesigns is a nationwide franchise chain, where every Smiledesigns clinic is characterized by high quality, extra-ordinary service, and effective results, with no compromise when it comes to quality for the demanding customer. These are all elements that are unique to Smiledesigns and differentiates us from other dentists within cosmetic teeth-straightening. 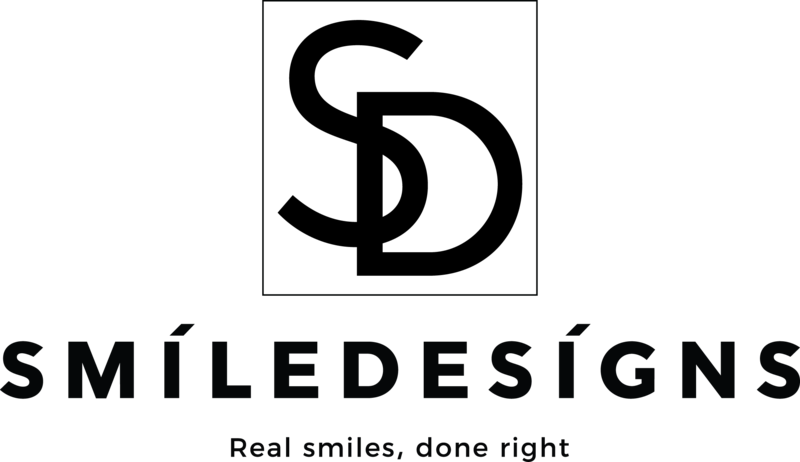 Smiledesigns is already among the biggest providers of Invisalign in the Nordic countries, and is, in fact, one of the fastest-growing teeth-straightening clinics in Europe. InvesteringsRådgivning A/S is an investment fund with divisions in Herning and Copenhagen. The company advices approximately 400 Danish families and manages about 2,5 billion DKR. The company's strategy consciously diverts from the rest of the market by the belief that a model-based approach to the investment world is more sustainable in the long run. Thus greed and fear will not have a negative impact on the return. The approach has proved robust, and the company has escaped the severe downturns in the recent years and joined most of the ascents. To invest succesfully is a matter of continuously invest with the odds. Just as in bridge. There is no guarantee that every finesse or endplay will be succesful, however if you go with the odds, it pays off in the long run. Which is why InvesteringsRådgivning A/S like to be associated with the game of Bridge. And of course because it is fun. FOSS is known throughout the world for analytical solutions that help to improve both food quality and safety in the global food market. 80% of all milk and 85% of the grain traded in the world is analysed on a FOSS solution. FOSS was founded in 1956 by Nils Foss. His business plan was to automate otherwise time-consuming analytical methods by offering a fast and cost efficient method of analysis - a principle that still holds true today. Founder Nils Foss, a passionate player and contributor to bridge: "It has always been one of my strongest wishes that we never forget to think in new ways. Being truly creative and finding new ways of solving challenges is the beauty of both bridge and technology. This is why we support a tournament such as the Copenhagen Bridge Invitational. Good luck!" The Bridge+More solution is often labelled “a revolution” for bridge – because Bridge+More utilizes the opportunities smartphones, tablets and the internet gives all of us – while maintaining the strong social and challenging aspects of bridge. Bridge Company’s goal has from day one been to make Bridge+More a complete solution hereby making your bridge games funnier, more competitive but also make bridge easier and simple to play, to learn and to master – in other words to give you and your bridge a + - and whether you use the Bridge+More solution in your club or privately with friends. We started selling in February 2016 after having travelled the world to show and learn and after having played numerous tournaments for federations, for clubs and for all of you who would like to try. We are proud as we now have Bridge+More users in 13 countries – but we continue to listen to continuously enhance (the More part of our name) our solution with unique features like our card by card history and lately Reference games – play as if you had been present playing with the best of the best (like you can at CBI). See more at www.bridgeplusmore.com and please subscribe to our newsletter at bridgecompany.com/bridge-newsletter to be kept informed. Feel free to send us an email at info@bridgeplusmore.com if you would like to know more or have a comment. It is a pleasure to announce that Bridgefonden, a Danish foundation supporting bridge in Denmark and especially among young people, are supporting the 2017 Copenhagen Bridge Invitational. All who have contributed to Bridgefonden in 2016 will automatically be in a lottery with the possibility to play in the pro/am with the most entertaining Danish top player, Mathias Bruun. Bridge over troubled water is often soothed by a good glass of wine. Frederiksberg Vinimport Ltd. and Saesonvine Ltd. are suppliers to bridge players all over Denmark and we are pleased to offer our international guests and friends a wine tasting during The Copenhagen Bridge Invitational. For nogle spillere er Bridge videnskab, for andre en lidenskab. Nogle vinelskere er lidenskabelige, andre videnskabelige. Bridge og kendskab til vin har det til fælles, at bekendtskabet ofte udvikler sig til en passion. Saesonvine ApS og Frederiksberg Vinimport A/S har mødt hinanden gennem Bridge – ikke ved bordet, men gennem kampen om kundernes gunst. Nu har vi fusioneret og vil bl.a. bruge kræfterne på at servicere de mange bridgespillere, som er blandt vore kunder. Saesonvine ApS er allerede et kendt navn i en del bridgeklubber i København og Nordsjælland, Frederiksberg Vinimport A/S i mindre grad, men vi er fælles i målsætningen om at ville udbygge samarbejdet med bridgeklubber i hele Danmark gennem vinsmagninger og fremsendelse af gode tilbud til medlemmerne. Vi støtter Copenhagen Bridge Invitational, fordi arrangementet har et højt kvalitetsniveau og henvender sig til den professionelle bridgespiller såvel som til den lidenskabelige amatør. Det gør Saesonvine ApS og Frederiksberg Vinimport også.